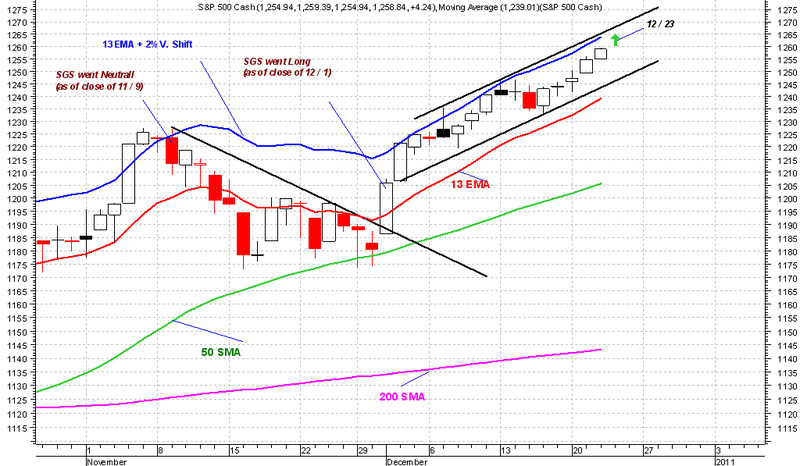 SPX is about to tag its upper price channel at 1265 tomorrow. 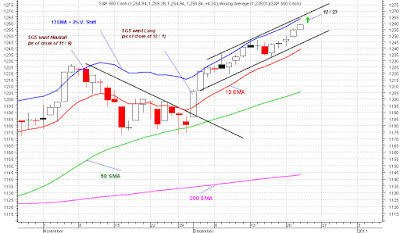 Since the start of the latest bull leg (Dec. 1), a sell off has followed in all three occurrences where SPX penetrated its 13 EMA + 2% vertical shift boundary. Considering usual holiday reversals and how far SPX has come since its recent low (better than 7% since Nov. 30), a sell off and a move back to the lower price channel is very likely over the course of remaining 2010 trading days.